Cơm Tấm, or Broken Rice, is the name of a Vietnamese dish prepared using a Jasmine rice that is crushed into finer pieces during the milling process. You can buy prepackaged broken rice at the Asian grocery store. There are quite a few fantastic Vietnamese restaurants in San Jose dedicated to serving Cơm Tấm. I always get ridiculously hungry when I drive by Cơm Tấm restaurants. While the meat is grilling inside the restaurant, the exhaust fans shoots out all the divine aromas out to the earth, and you can smell it from miles away. SOOO GOOD! Cơm Tấm is typically served with your choice of grilled meat, shredded pork, some kind of prepared shrimp, egg, and topped with all sorts of pickled and fresh veggies. The options are endless. The different textures and flavors from all the ingredients together are incredible. 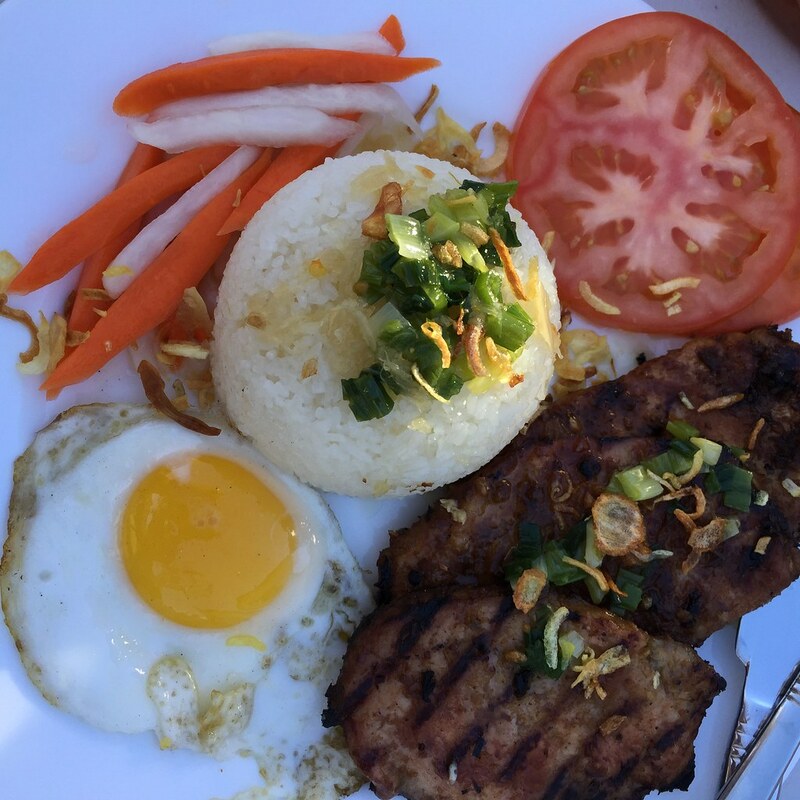 My version of Cơm tấm comes with grilled pork and egg. It is pretty basic compared to the plethora of options found in menus at Vietnamese restaurants, but it’s still great and the star is the amazing tender pork chop. This is pretty easy to make and you can set-up a self serving station and feed a lot of people. Marinate Pork Chops: In a large mixing bowl, combine oil, lemongrass, fish sauce, honey, water, rice wine, smashed garlic, and crushed black pepper. Add boneless pork chops and marinate. Make Broken Rice: The rice to water ratio should be 1:1. Add desired amount of broken rice to rice cooker pot, rinse rice thoroughly, and add equal part water to the pot and cook until done. Add more water if needed. Cooking Protein: Set grill on medium-high heat. 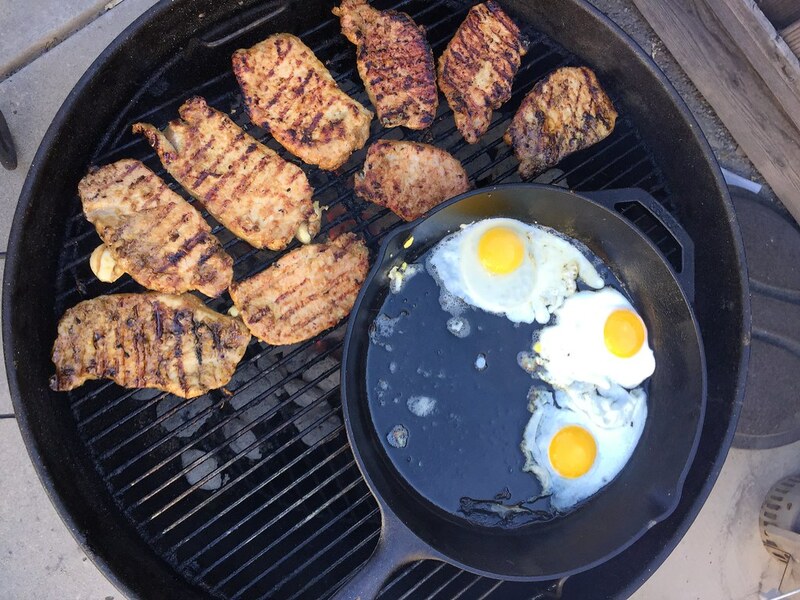 Grill boneless pork chops each side for about 3-4 minutes. During this time, you can fry eggs as well. 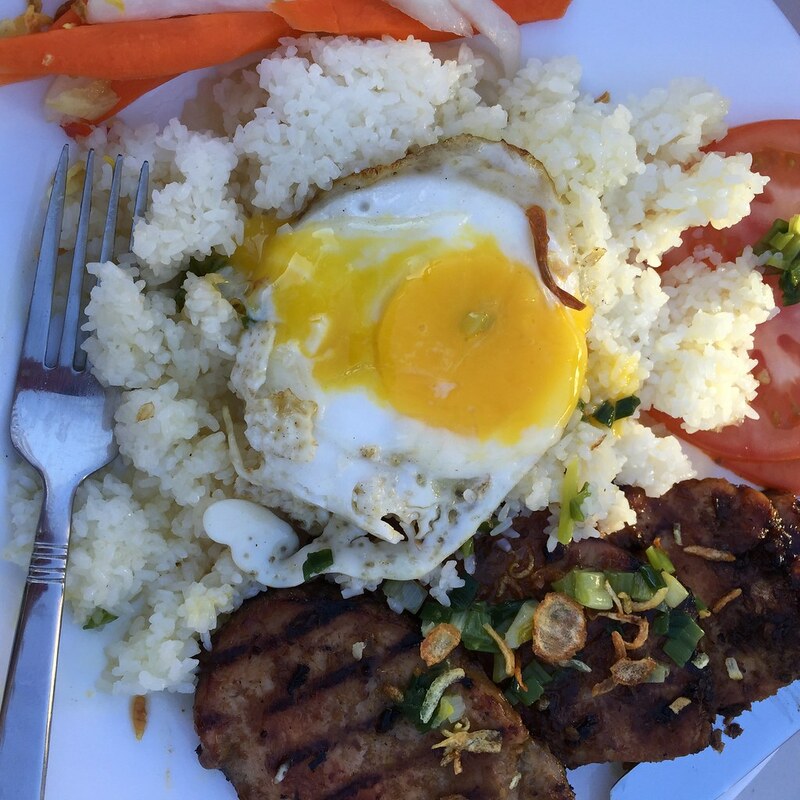 Prepare Rice Plates: Add one cup of broken rice, boneless pork chops, egg to the plate. Add accompaniments such as tomato slice, pickled veggies, scallion oil, and fried shallots. If you don’t have broken rice, use whatever rice or carbs you have available. Heck, put it in a sandwich.